Graduation season is fast approaching and Columbian Autocar Corporation (CAC), the exclusive distributor of Kia vehicles in the Philippines, got the perfect reward for your new graduates! From now to April 30, 2016, all Kia Picanto buyers get a chance to win and drive home an all-new Kia Forte Koup through the Kia Pic a Forte raffle promo. The sporty and stylish Kia Picanto is the ideal gift for new graduates and millenials! Available in 1.0L EX M/T and 1.2L EX A/T variants, the Picanto packs all the essentials in a compact, spirited car. The Picanto hatchback is one of the Korean auto-giant’s best-selling models for obvious reasons. Kia Picanto turns heads everywhere with its bold colors and urban chic appeal making it one of the best-looking cars in its class. The Picanto is also fitted with an upgraded audio system, a chrome-accented dashboard, and a generous amount of leg room and cargo space. 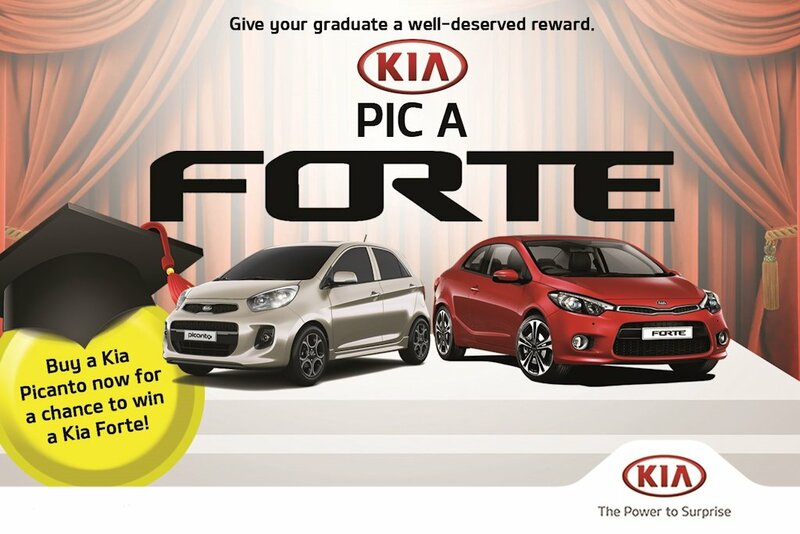 Indeed, getting a Kia Picanto is a reward in itself but with CAC’s latest offer, the Kia Forte can be yours, too! The 2-door Kia Forte is a true mark of world-class craftsmanship and dynamic performance. Thrill-seekers and car lovers alike will be wowed by its sporty frameless door windows, power sunroof, signature grille, and Euro-inspired styling cues. Inside, the Kia Forte Koup is all about luxury. High-grade materials, elegant cockpit, and convenience features spell the difference between a good and great ride. 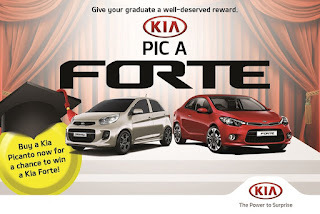 Join Kia Pic A Forte now and who knows, you might just be the lucky one!